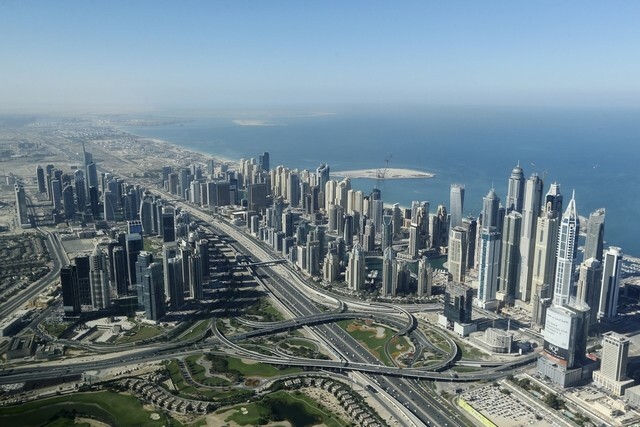 While the residential segment remains a hot favourite among property buyers in the UAE, the calmer market conditions have drawn several property investors to look at other realty assets to diversify their portfolio and obtain higher gains. Hospitality and offices continue to appeal to buyers, as well as education and health care due to a rise in institutional investment in the region. “Since the deal flow in the region is rather limited, investor interest in alternatives assets has been across the asset classes range, while education has dominated the transacted assets,” says Gaurav Shivpuri head of investment transactions at JLL Middle East and North Africa. “The key reason for the increase in these deals is investor interest in such properties, as well as the need for the owners of these assets to raise funding by selling the real estate. According to David Godchaux, CEO, Core Savills, logistics, Grade B offices in core locations, healthcare and educational facilities are worth looking at for investments. “Office investment ticket sizes are also within reach for many investors, while large-scale investments such as education, hotel and warehousing are limited to established players or institutional investors,” he says. The health-care segment, as a real estate investment avenue, is limited to established players because of its costly operations and equipment, while requiring a hand-in-glove arrangement between the developer and operator. However, Godchaux considers the introduction of compulsory health insurance in Dubai and the government’s initiatives towards promoting Dubai as a medical tourism hub should increase the bed requirements and in turn demand for this investment sector. Grade A industrial and warehousing spaces also provide high yields due to the sheer lack of availability in Dubai. “This segment requires further analysis and scrutiny from the investor as this market is primarily purpose-built, and ready warehouse rental is still in the nascent stages,” says Godchaux. Private purchasers, on the other hand, favour serviced apartments and single hotel rooms when looking beyond residential. “These units are fully fitted out and furnished and offers a regular return to buyers via a rental pool,” says Declan King, director and group head of real estate at ValuStrat. “Hence, the owners do not need to worry about directly managing their property and arranging tenants as someone else is doing this for them. Real estate funds, meanwhile, are promoted by banks, financial institutions and insurance companies. “These may have more restrictive entry and exit rules then REITs and the minimum financial allocation may also be higher,” says King. Dubai has seen a growing interest for investment in education, health care, logistics and retail because of high returns and they can easily expand their portfolio. “For example, the education segment has seen some groups expanding exponentially and make their mark in the market,” says Sandrine Loureiro, head of commercial sales and leasing at Better Homes. “Similar patterns can be found in health care and hotels. Investors have taken advantage of lower prices in the recent market to buy offices, retail spaces or warehouses instead of paying rent. Similarly, investment funds and large investors have been able to negotiate good rates to acquire larger assets and strengthen their portfolios.